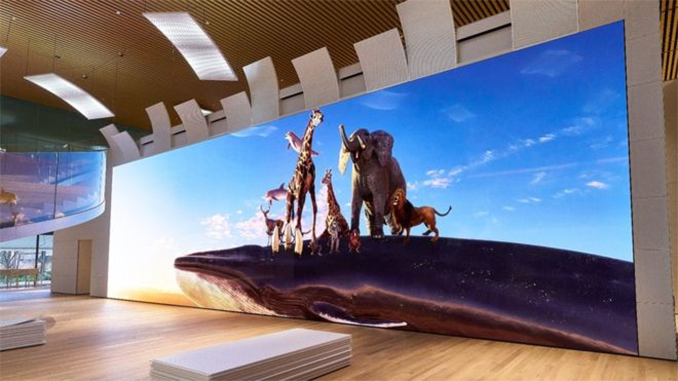 Read more about Sony's crazy 783-inch 16K screen. This screen's 16K horizontal resolution is equivalent to eight 1080p screens sitting side by side, and that doesn't even account for this screen's unknown vertical resolution. 1920cm x 540cm is ofc a 32:9 aspect ratoi(I think that's easier to spot when in centimetres) so assuming the pixels are evenly spaced/shaped it should be the equivalent of 4 1080p screens stacked (15360x4320 final res). I think that gives a pixel size of 1.25x1.25mm. i want mirco LED NOW!! im fed up with the inferior LCD/LED tech. i buy 2000 euro monitors and they are still not "perfect" in a very dark environment. and with anything cheaper from dell, aoc, asus, benq etc pp. you are sure to notice some kind of backlight bleeding, uniformity issues, etc. that is maybe good enough for gamers, sure. they don´t even do many OLED monitors because you are sure to run into burn in issues with a PC (when UI elements are displayed for hours on the same area of th screen).